It is slightly embarrassing if I’m very honest. I moved to New York exactly four years ago, I came back 3 and a half years ago. That’s 365 days times four. That’s…ehm…1460 days. It took me 1460 days to finally write a post about the city that takes up a big part of my heart. But don’t worry, the places are still up to date. I traveled back in November last year and went to a bunch of my favourite spots and surprisingly many of them are still there and haven’t changed at all. I am almost done with the entire travel list with recommendations for anyone travelling to NYC, but this post here is about 10 spots that you probably won’t spot immediately if you’re not looking for them. Enjoy and don't hesitate dropping me a line if you want to know more! This museum is a mix between modern and tradition. 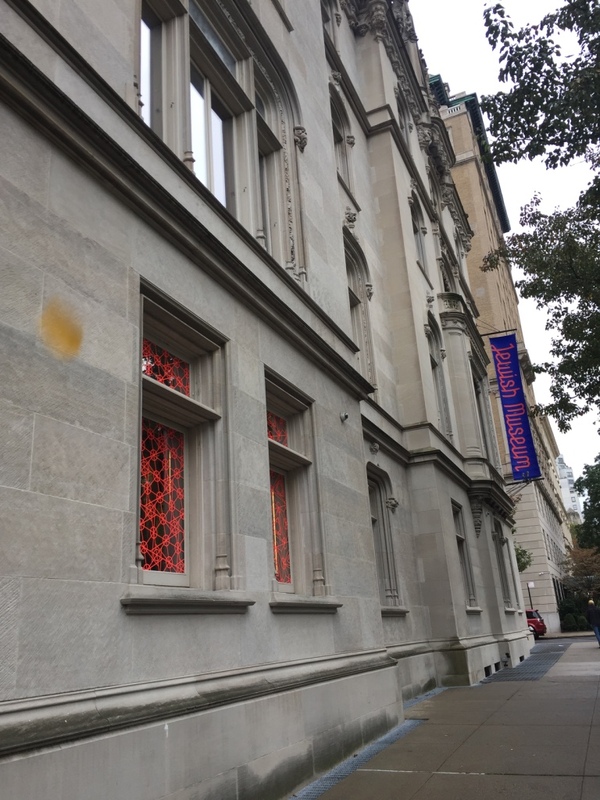 While the top floors are designated to an exhibition on Jewish history, the bottom floor features modern art. While I was there in November there was an exhition called “Take me, I’m yours”, displaying art that made you touch things, try things, think about the art and if you want, take it home with you. In the basement there is a Russ&Daughters Café, where you can have some of their delicious cream cheese bagels with smoked salmon, or other Jewish delicacies. This Donut shop located in the heart of Green Point and run by Italians, though predominantly Polish people work in the shop, is a recommendation I received from a very nice former colleague of mine, who told me I had to try this place. 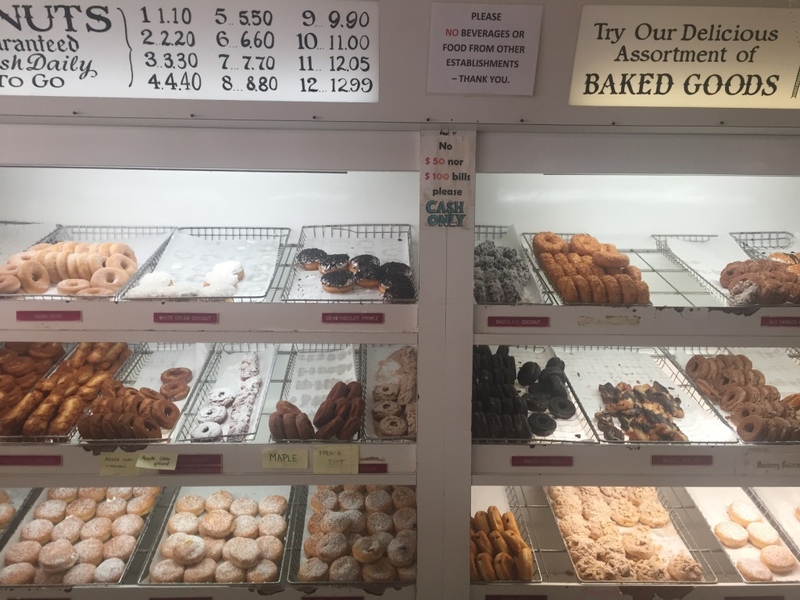 Donuts are incredibly cheap (1.1$ per piece) and the variety is huge. Old-fashioned, blueberry, pumpkin spice, classic, with frosting, filled..whatever you fancy, they have it here. Take an iced-coffee to go and walk towards Williamsburg to spot some other nice places in the area. A little bakery that opened quite recently, selling a lot of pastries, cakes, donuts, savoury treats and most important: a very creamy cheesecake made from fresh and real vanilla (you can see those little black spots in it) on a bottom of I guess it was Oreo cookies. After having tried a piece of cheesecake here you’ll be spoiled and probably won’t say ‘yes’ to any piece you’ll encounter in the future. 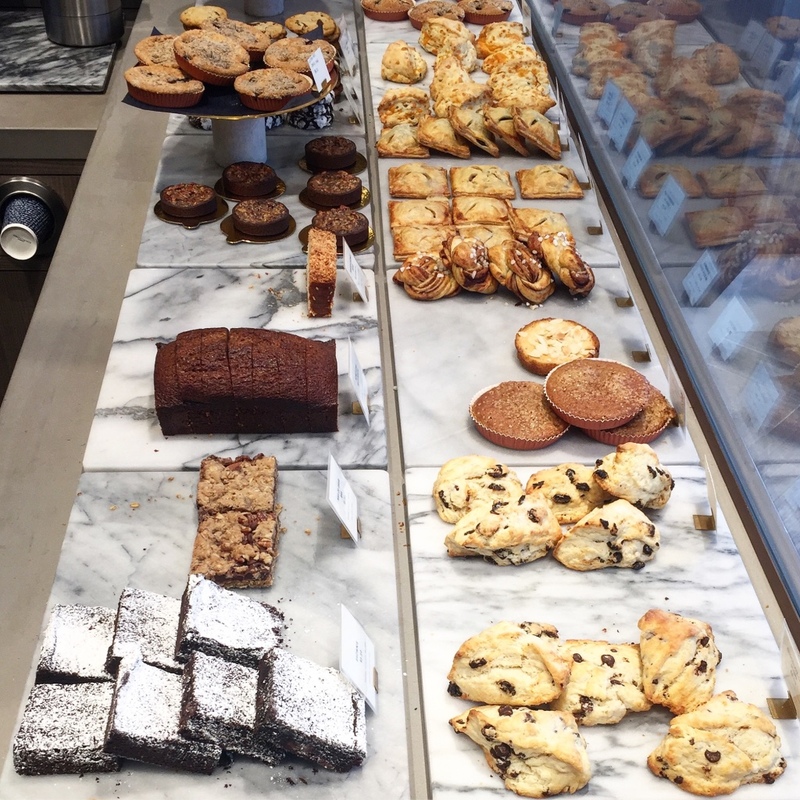 In front of the bakery there are two benches on which you can sit down to enjoy your cake or step inside into the very tastefully designed space, with a long table in the back and a counter made from marble and light wood, putting all those little treats in the right perspective. Plus: people here were super nice! Price: around 3-6$ for cookies, cakes etc. On weekends there is a long line that you’ll spot from far away when having a walk in the Upper West Side. On weekdays it’s less crowded and you’ll actually might be lucky and get hold of a seat. They’re not comfy, nor is the interior special or nice in any way, but their bagels make you forget this. If you ask me you should choose the smoked salmon with their pumpernickel bagel. 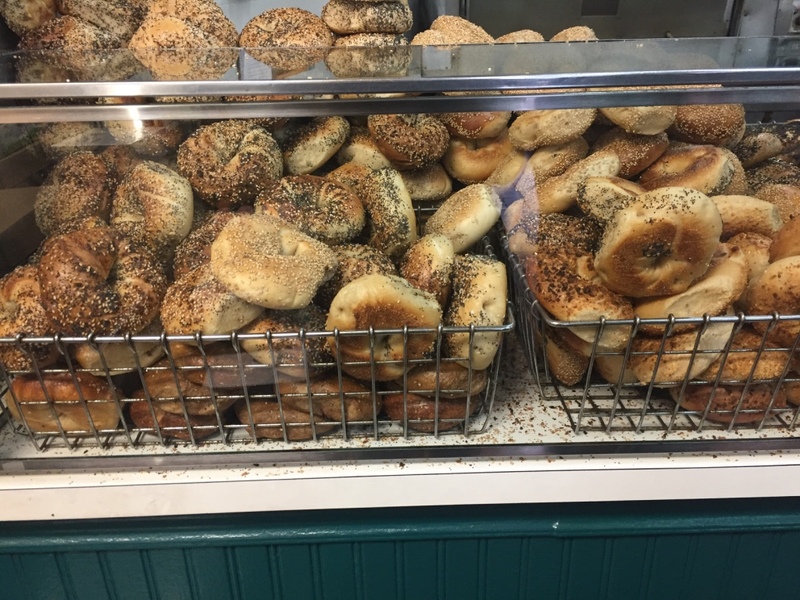 The bagels are prepared in a continuous loop, freshly by a number of hard working people in the back of the shop. Ok, this place probably is on every BBQ-lovers' food to-do list in NYC and probably it’s not a secret spot anymore. But, it had to go on this list as it’s an absolute favourite of mine. Dark wooden floors, benches and tables give you that cabin feeling and match perfectly with all the BBQ-ed meat that’s being displayed at the counter. Sausages, beef, pork, chicken grilled for hours and served with a choice of different homemade BBQ sauces. I could bathe in them. You find that off-putting? Not until you’ve tried them! 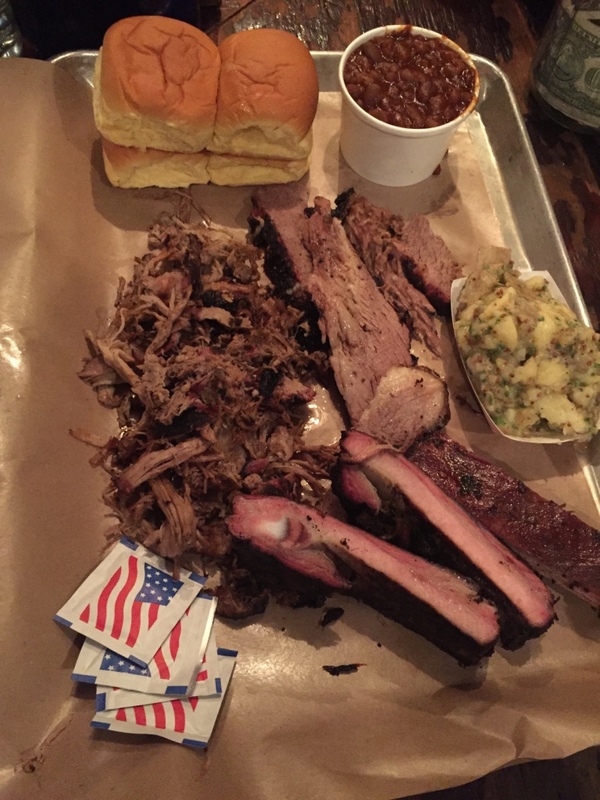 I’m a big fan of the ribs, the pulled pork and the beef brisket and BBQ beans as well as coleslaw, their bread rolls and maybe some sautéed veggies. Have a craft beer with it and feel as if in the middle of Texas. More info on Fette Sau here. 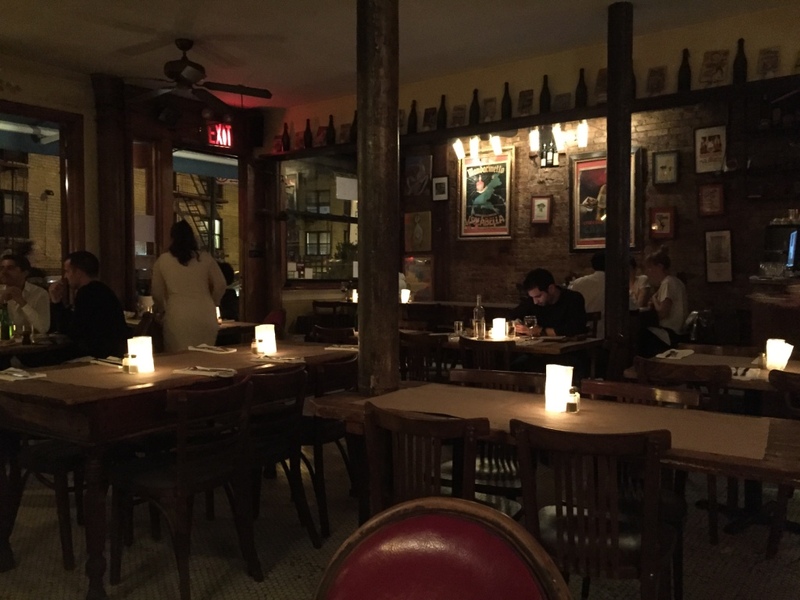 I still remember when my friend Sander discovered this little Italian place when we were strolling through the Lower East Side and TriBeCa with a bunch of friends, trying to find something worthy to fill our hungry stomachs. Order a glass of wine and a plate of homemade pasta. Their homemade spinach Gnocchi with a cream gorgonzola sauce is a must, in my eyes. They’re soft, but not overcooked and together with the intensely tasting sauce this is a perfect match. The atmosphere is quite romantic, with dimmed light, wooden little tables and Italian inspired decoration. The waiters are very nice, too and above all, they’re fast. This is a very small, hidden and maybe at the first look from outside not very appealing spot. But wait until you’ve tried their dumplings for less than 1.5$. You can order them steamed or fried with all kinds of ingredients. They also have soups and other Asian dishes for very low prices. 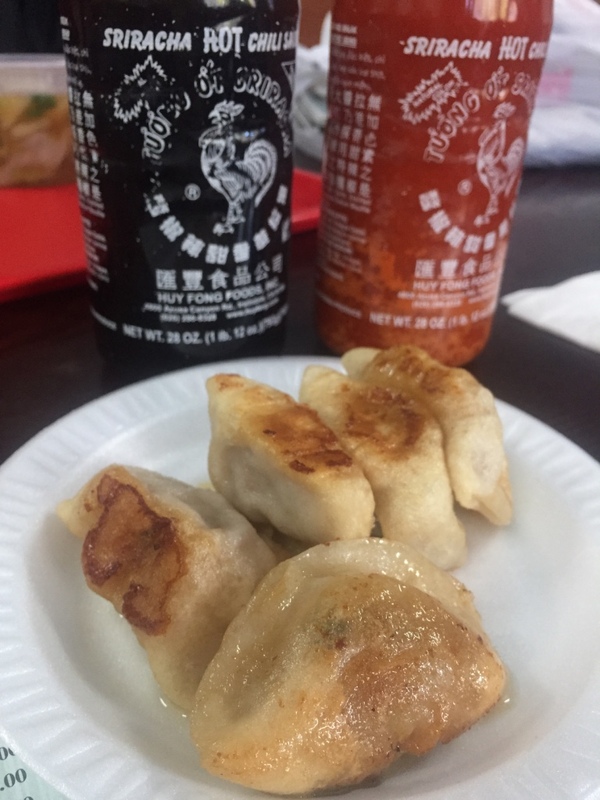 It’s not a spot where you would linger for too long, but it’s just perfect for a quick snack, before heading on to have a stroll through China town, passing Little Italy and Nolita up to East Village. This award winning bakery is the savior of all French baguette and good bread loving people. 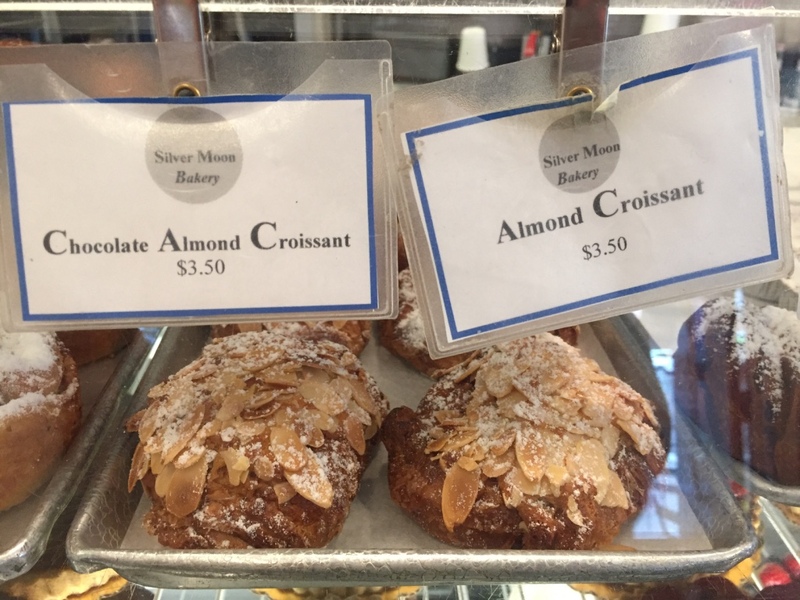 This tiny spot on the Upper West side sells all kinds of fresh, crispy and tasteful bread, delicious muffins, cakes, pastries of all kind and coffee. I grabbed a filter coffee, a blueberry and ginger muffin and walked towards Central Park to enjoy some autumn summer sunrays and head towards my next destination. 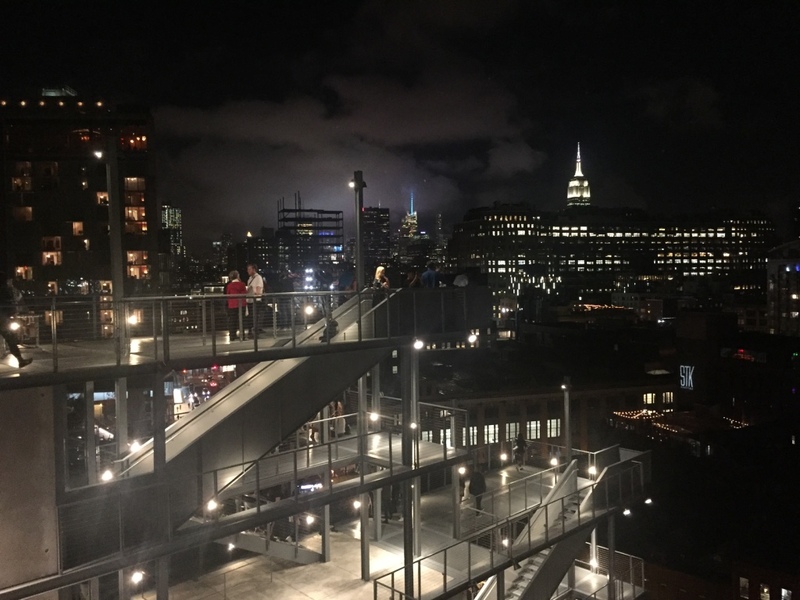 Even if you’re not a fan of art (which would be a pity, because the Whitney has some amazing exhibitions), you should visit the Museum of Modern Art, next to the Hudson river, with a great view on the Lower East Side, Chelsea, the Meatpacking District and West Village. Entry to the museum is voluntary on Friday’s, so you can avoid the usual fee of $. Make sure to climb up the complete way, because obviously that’s where the view is best. Not a restaurant, but a book store selling a big amount of cookbooks and there is also a little café, where you can sit down, drink your Cappuccino and read one of your new purchases. This bookstore has not only a great selection of cookbooks (I finally found a copy of Marcella Hazan’s – Essentials to Italian Cuisine here), but a huge range of art and history books, novels and other great reads. Based in Soho, this is the perfect starting, break or endpoint of a little shopping trip through this buzzing area.